You are here: Home / Lifestyle / How to Plan for a Surprise Birthday Party? When it comes to planning a surprise birthday party, you need to have a knack for organizing everything from food, entertainment to the actual surprise. If you are an extrovert who loves planning parties, a surprise party will be right up your alley. The main thing when planning a surprise birthday party is making sure that the person who you are going to surprise actually likes surprises. The point of a surprise party is to give someone the best day of their life. If you happen to plan a surprise party for someone who likes to be left alone, you will probably end up disappointing them and feel bad yourself. 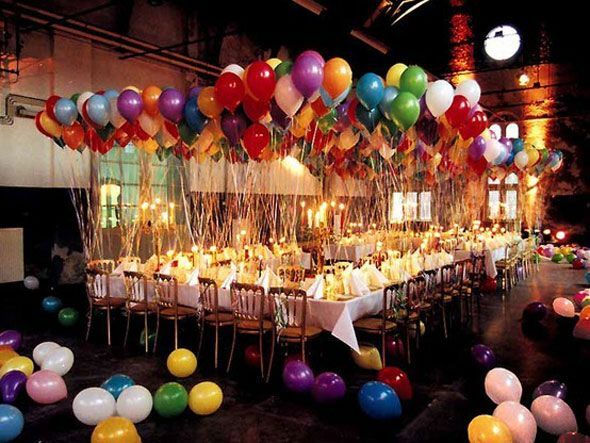 However, if you know a party animal who has a birthday coming up; here are some tips to organize a smashing surprise birthday party for him/her. Make you close ones feel happy by sending them Happy birthday Songs with Name. It is not necessary to have the party on the day of the person’s birthday itself. He/she would probably anticipate a surprise and it will not be as fun. What you can do is plan a surprise party two days before the person’s birthday. This will take them off guard and will be a genuine surprise. If you are not sure about the birthday of the person whom you’re planning the party for, get their family’s help but make sure not to tell everyone. A surprise party only works when not a lot of people know about it. Setting the proper date is very important because you have to shortlist people to be at the party. After deciding that, you have to convince people to come to the party in case they’re busy. Planning an entire party by you is no mean task. Consider the possibility of getting someone’s help. This would preferably be someone close to the surprisee and is willing to help you. However, make sure not to plan the party with too many people as this will end up ruining it, or worse, outing the surprise. As a head party planner, it is up to you to decide on the perfect location to have the party at. You can very well surprise the person at their home but ask their family members if they are okay with it before showing up with a horde of people at the door. Once all the planning is done, it is now time to get everything ready. Make sure there are enough food and drinks for everyone who is going to be present at the party. Decorations are another key part of a party. Get your decorations ready well in advance and have somebody help you put those up. If you’re planning a party in a hurry it won’t be necessary to work on a theme. Also, check on entertainment options. If you have a bigger budget you can opt for even a local DJ or you can just settle for music over the music system. These are the basic tips to follow while planning a surprise party. With a surprise party, there is always the risk of the surprise getting out. In that case, always have a contingency plan ready and make sure your party is able to be canceled at a moment’s notice and rescheduled to another day. Have you planned surprise parties? Do you have any tips that would help someone planning one? Comment down below. My family really wants to throw a surprise birthday party for my aunt, and I really liked your idea plan the party close to her birthday but not on her birthday so she doesn’t suspect a thing. That would be a great way to surprise her with the whole family. We will have to pick a good date to throw the party on. Thank you for the tips! Some really good tips here, and I was a wedding and event planner for over 20 years!! I definitely agree with your suggestion that it’s important to have a really good cover story in place for the guest of honour, and make sure that all of the guests know what that story is and go along with it. Thank you Tara. We are glad, you liked our post. Agree with you, it is always to have a pre-plan of action to rock the event.. Thank you for the compliment! Do keep visiting our blog for a variety of articles.